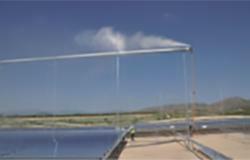 The linear Fresnel solar thermal system has a rectangular mirror field made up of a number of horizontal reflectors with one rotatig shaft. It can automatically track the sun to reflect and collect the sunlight into the linear light concentrator that is parallel to the top of the mirror field. The solar receiver of the system absorbs and converts the sunlight into heat. Then the heat transfer fluid (HTF) flowing inside the receiver is heated directly or indirectly so as to generate electricity by driving the turbine with steam of high temperature and high pressure. With advantages of simplified plant design, lower investment and operational costs, minimized structural costs, low wind loads, minimized internal energy losses, and lower maintenance costs, the linear Fresnel solar thermal system is a competitive alternative to the parabolic trough. The flat Fresnel solar mirror it adopts is cheaper and easier to produce than a common parabolic-shaped reflector with no need to support the absorber tube. 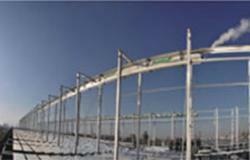 In addition, when the sun isn't shining, the linear Fresnel solar plant can be utilized jointly with fossil fuel. 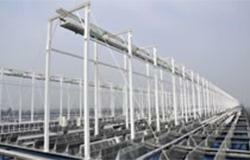 Himin Solar Co., Ltd. is currently building a 2.5MW solar thermal power demonstration plant in Dezhou. 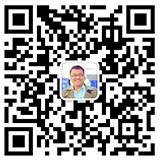 It is the largest MW-class solar thermal power plant under construction in Asia. Built on the top of Himin vacuum tube factory with a concentrating solar collector area of about 32,000 square meters and an annul power generation amount of about 5,250,000 KWH, it will certainly be able to meet the annual electricity consumption needs of about 3,600 families.